When you want an air conditioner company in Eaton, CO that is budget-friendly and dependable, call our HVAC company today! Over the years, our company has provided this community AC services that provide them with the very best cooling. If you are also looking for heater services, our contractors can even provide heating system services, in addition to air conditioning services. Contact our contractors today at (720) 276-1403 in order to make an appointment for cooling or heating services. We are anxious to work with you and guarantee that your air conditioner is functioning the best that it can. Air Conditioner Replacement and Installation Do you need an air conditioning replacement? searching for air conditioner installation service? Call our technicians for air conditioner installation and replacement. Air Conditioning Maintenance Need to ensure your air conditioner is in the excellent condition? Get air conditioning upkeep by our HVAC company. Air Duct Sealing, Repair & Installation At Green Tech Heating & Cooling we are able to provide duct sealing, repair, and installation service. Central Air Conditioning Repair For customers who want their central AC fixed, call our company. Emergency Air Conditioner Repair Get emergency air conditioner repairs whenever you have an issue with your air conditioning system that isn’t able to wait. Indoor Air Quality We offer air purification, filtration, and whole humidifiers to get better indoor air quality. It can get really cold in the winter months, so it’s important that if your heating system is acting up, you call for expert repair service. To receive the best heating services for your heating system, just call our HVAC company. Whether you have a boiler or furnace, our contractors can fix it. If for some reason it is past repair, our company can offer heating replacement service. Give our heater and air conditioner company in Eaton, CO a call at (720) 276-1403 to make an appointment for heating. Boiler Repair & Replacement Own a boiler? You are able to get repair service or a whole replacement through Green Tech Heating & Cooling. Central Heating Repair Make an appointment for your central heating unit if it requires repair service. Electric Furnace Repair & Replacement Exceptional electric furnace replacement or repair service can be yours at an affordable price if you call us today! Electric Heat System Repair For customers who have electric heating, you are able to count on us for expert repair service. Gas Furnace Repair and Replacement Get in contact with our HVAC company if you should need repairs or replacement service for your gas furnace. Heating Maintenance If you are wanting to extend the shelf life of your heater or want to ensure its in good condition, contact our technicians for heating upkeep today. We don’t just offer heating and AC services for homes, we also provide air conditioner and heating services for commercial buildings. Regardless if you require repairs for your furnace or for your AC, Green Tech Heating & Cooling is the commercial heating and air conditioner company in Eaton, CO you can depend on. We want to guarantee you have no loss of efficiency and that your staff are relaxed as possible, so contact us at (720) 276-1403 whenever you require heating or AC services for your commercial HVAC unit. Commercial Air Conditioner Repair When your commercial air conditioning requires repairs, just contact our HVAC company. Commercial Boiler Repair Does your boiler require repairs? 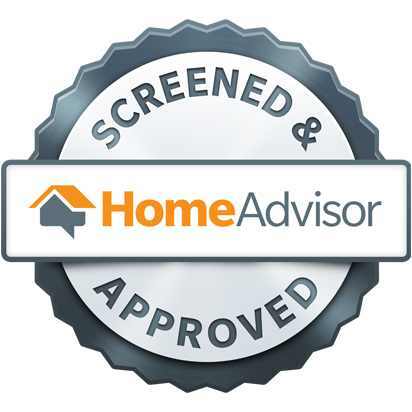 Contact our company to set up an appointment. Commercial Boiler, AC & Furnace Service Our crew of contractors will fix your air conditioning and heating systems, as well as offer maintenance and cleaning. Commercial Furnace Repair To get budget-friendly and quality repair service for your commercial furnace, reach out to Green Tech Heating & Cooling. 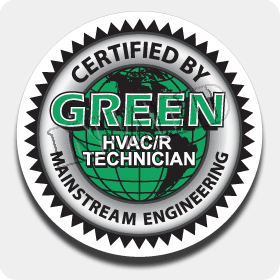 Commercial Rooftop HVAC Repair At Green Tech Heating & Cooling, our contractors can provide quality commercial rooftop heating or cooling repair. In your heating and AC unit, there are many parts that work together to ensure it operates the way it should. The most frequent ways heating and AC components stop working is because of faulty installation or inadequate upkeep. At our HVAC company our contractors are able to either repair the part or we can totally replace it if it’s defective. Want to make an appointment with our heating and air conditioner company in Eaton, CO for heating and air conditioning parts replacement and repair? Contact us at (720) 276-1403 to speak to one of our heating and cooling contractors. AC & Heater Capacitors Replacement Have your air conditioning or heater capacitors replaced when you call our HVAC technicians. HVAC Blower Repair & Replacement Our heating and cooling technicians are able to determine if you require your air conditioning or heating blower fixed or replaced by examining it. HVAC Circuit Board Replacement If our contractors find that the control board is malfunctioning and needs to be replaced, our company will help you out. HVAC Relay Replacement Our heating and air conditioning technicians can inspect your heating or AC unit and figure out if the HVAC replay needs to be replaced. HVAC Thermostat Repair, Replace & Upgrade Our thermostat services comprise of repairs, replacements, and upgrading your older thermostat to a brand new one.